With the new royal baby expected to be born this month, My 1st Years are celebrating with their new collection. 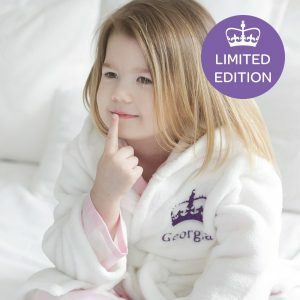 The royal baby range features robes, pyjamas, homeware and more – all fit for little princes and princesses! My 1st Years are a brand known for their personalisation. You can take monogramming to the next level with the royal baby collection, as the personalisation embroidery is being offered in limited edition purple and gold. Your mini me will certainly feel like royalty. How sweet is this robe? All items come in a free gift box too. 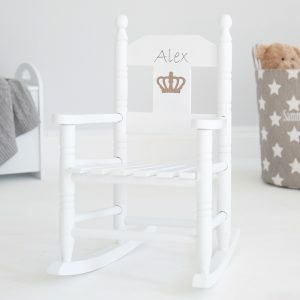 This rocking chair would look adorable in any kids room or nursery. So if you fancy celebrating the fact that a new member of the royal family is on the way, why not treat your little one to some pieces from the range? If it’s good enough for Charlotte and George, it’s good enough for us!